It is that time of year again when geeks, nerds and everyone in between descends on the NEA in Birmingham for Gadget Show Live. Based around the Channel 5 show and its presenters, the annual event showcases the latest developments in gaming, computing and just about any other area of technology you can think of! However unlike most tech expos, you can actually buy the gadgets you see on the stands, putting the future well and truly in your hands. I have been twice before to this event and each year it grows and improves. The sheer size along with the hustle and bustle of fellow fans is the first thing to hit you as you enter. Amongst the stalls is everything from power tools, tablets, RC helicopters, gaming chairs, laptops the list goes on! 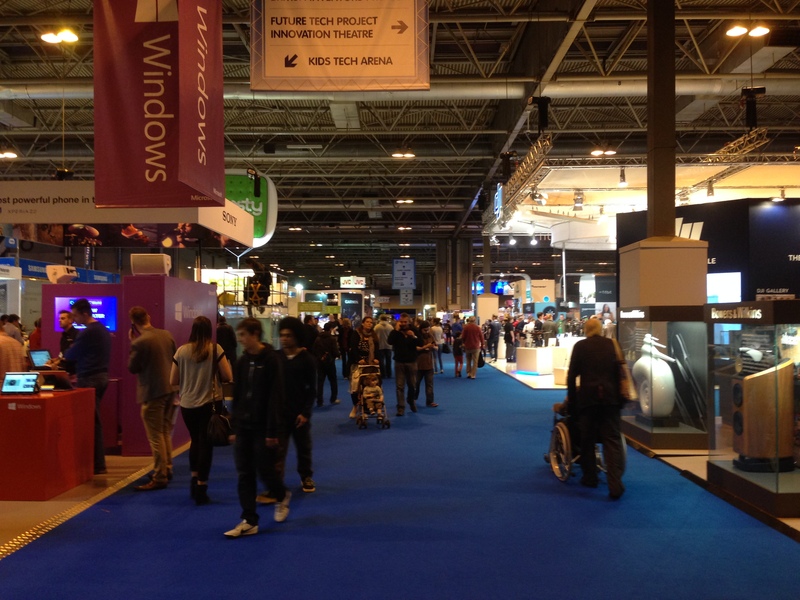 Personally, what I find to be most special about Gadget Show Live, while you have your big names like Microsoft, Samsung and Sony, there are just as many small-time, independent businesses that are offering gadgets and tech which are just as impressive. It is easy to oversee some of these small fries with the exuberant stands of the big players. However, what they lack in glitz and glamour, they sure make up for in useful and nifty gadgets. As a mad car fan, I find myself every year gravitating towards the car makers who appear. 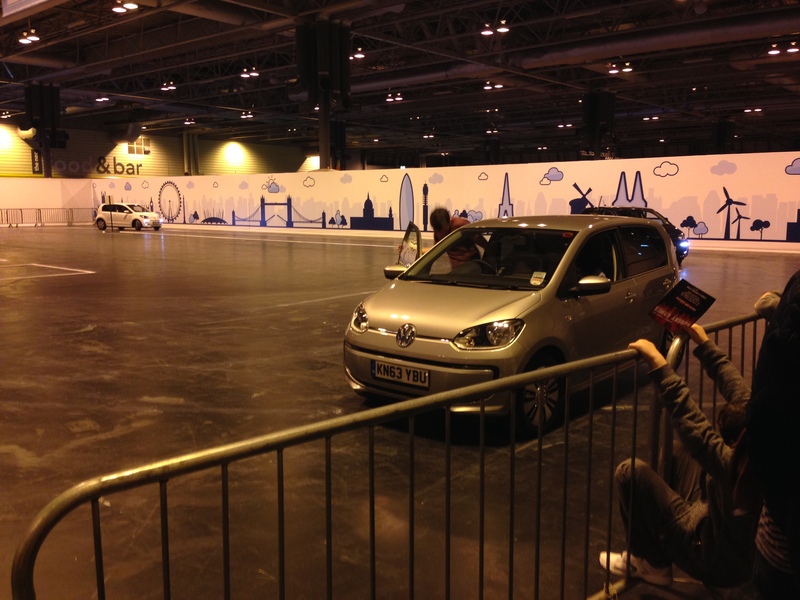 This year Peugeot, KIA, Citroen and VW all showcased their latest models, however VW’s display had a distinctly electric feel about it as did their driving experience test track. The spotlight was firmly on their electric version of their small car the ‘Up’ aptly named the ‘e-Up.’ I have never been a fan nor a believer in the electric car. My own opinion is that it is an unfortunate compromise as car companies have to be seen as to be doing something with rising pressure from environmentalists, instead of investing in Hydrogen research for example. However that is an argument for another day! It was amazing in my first experience of an electric car, getting into it and instead of hearing the usual engine noise, a polyphonic style ringtone to tell you the engine is started and then silence. 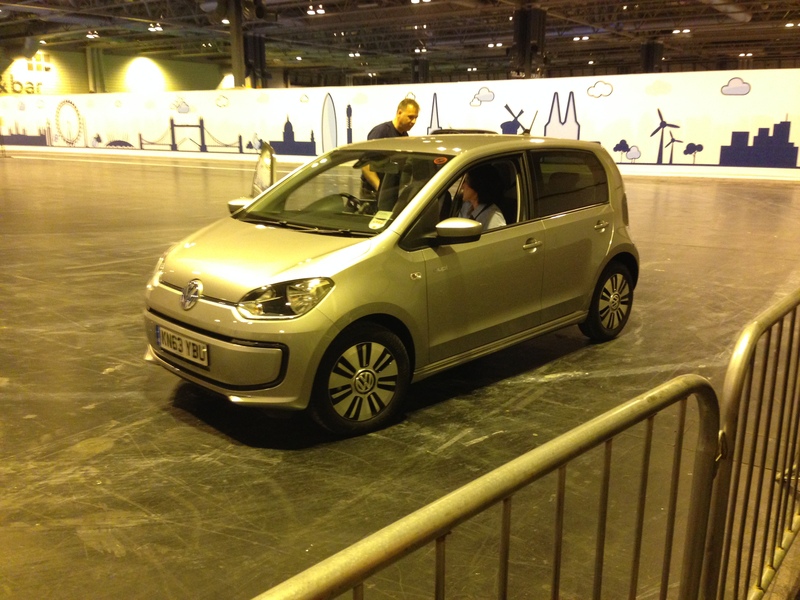 The car seems to float as you drive it and through some clever use of the car’s motor, it can be made to feel like a conventional car by taking energy lost during braking to charge the batteries and give 10 extra miles on the range. However this extra power can also be used in ‘Recuperation’ mode to give the e-Up more power from a standing start and boy did it! Unlike normal hybrid or electric cars it had all the performance of a petrol or diesel powered car and wooshed on the track. Gadget Show Live is the place to see sneak previews and possibly even play the latest games, months before they enter stores. This year visitors can play games like Evolve, Titanfall, Sniper Elite 3 and Transformers Universe. Nonetheless you can still find the old favourites like Minecraft and you’re spoilt for choice when it comes to driving games and simulators. One of the longest lines I saw all day was not outside the food bar but instead the smaller independent game stands that were offering a chance to wear and use the Oculus Rift. It was amazing to see such a following for a product that still hasn’t officially been released. It seemed fans were desperate to experience one before Facebook really get their hands on it. 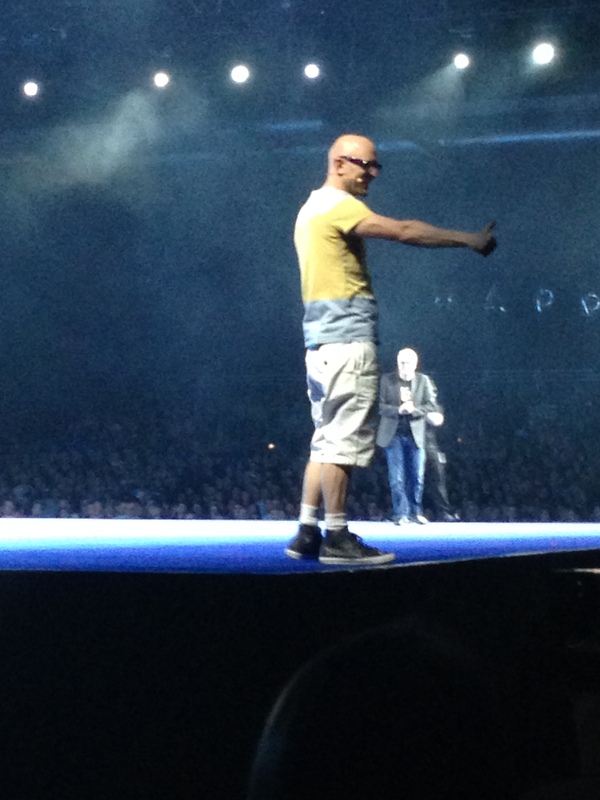 You can’t leave Gadget Show Live however without experiencing the brilliant Super Theatre. Here the presenters from the TV show host an hour long show filled with the coolest of gadgets and the most amazing performers. As this year’s Live coincides with the show’s 10th birthday, this year’s Super Theatre show looks at the biggest things to happen in the gadget world during this period with challenges related to them. The show is full of laughs, excitement and audience participation, whether it’s trying to make a World Record for the biggest crowd to play Tetris at the same time, or cheering for your favourite host as they race around the theatre to win the final race. Expect special guests with extra-special performances and lots of family fun plus the chance or two to win a couple of amazing prizes. It’s an experience I would highly recommend to anyone, whether or not they are gadget orientated. We encounter gadgets everyday whether we realise it or not and a gadget isn’t just something that has a motherboard inside it or something that makes you food. It’s a great way to see how the world of technology is shifting and a chance to take a part of it home with you. 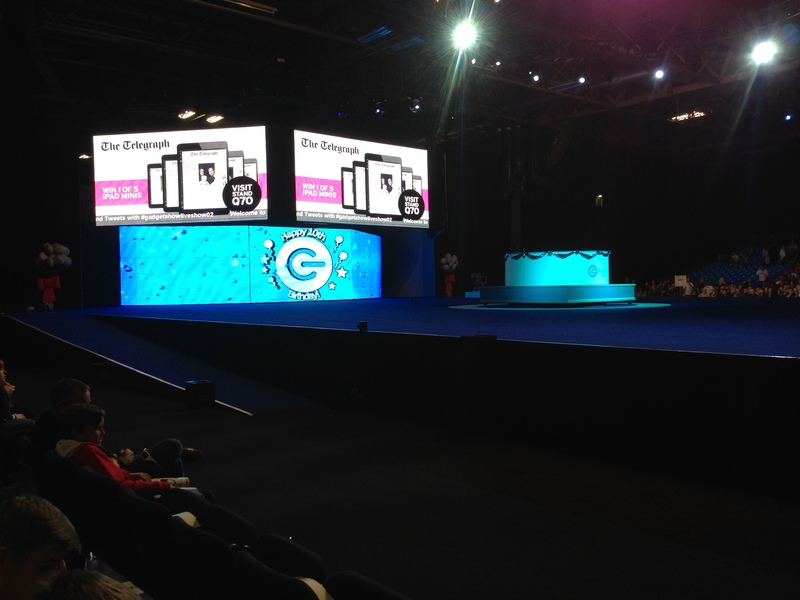 Gadget Show Live continues at the NEA in Birmingham until the 13th of April so there is still plenty of time for a trip to the West Midlands to get your geek on! ← Jackson Browne Announces New Tour and Album.